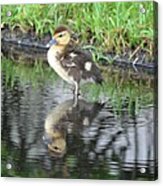 Queen duvet cover (88" x 88") featuring the image "Duckling With Reflection" by Richard Bryce and Family. Our soft microfiber duvet covers are hand sewn and include a hidden zipper for easy washing and assembly. Your selected image is printed on the top surface with a soft white surface underneath. All duvet covers are machine washable with cold water and a mild detergent. Many thanks, Irina! I really appreciate it. Many thanks, Nava Jo! I appreciate it. Thank you so much, Doug, for the kind words and L/F! Greatly appreciated. 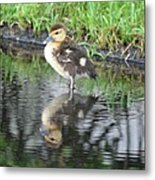 Thank you, Pamela, for the feature in the ABC group! Much appreciated. Thank you, Mechala, for the feature in the Reflections group. Much appreciated! Thank you, Pamela! Much appreciated. He was so adorable. Thanks for the revisit, Stephen! Thank you, Mariola, for the feature in the Wildlife One a Day group! Much appreciated. Very Sweet! 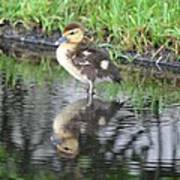 I love his/her little reflection in the water... a look on its face as if it's thinking "where's mom". Many thanks, David! Much appreciated. Great to hear from you. Along the Trail, thank you for the feature in the Google Gallery Group! Much appreciated. 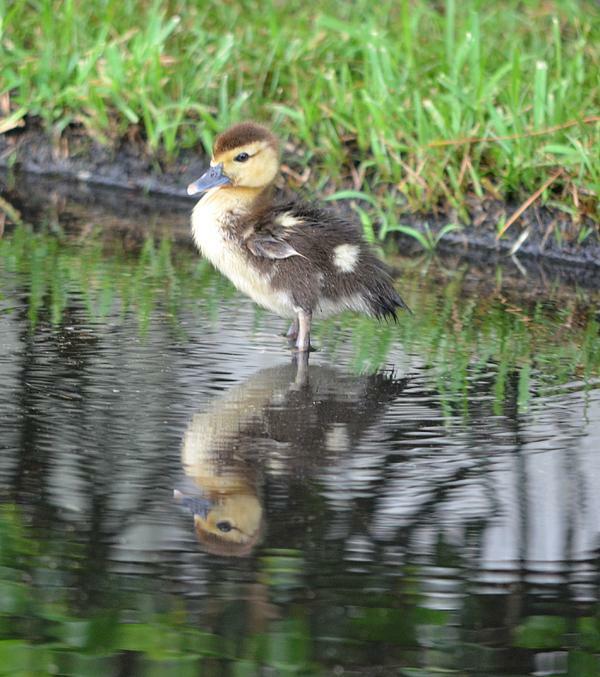 A baby duckling enjoys the water in Jacksonville.